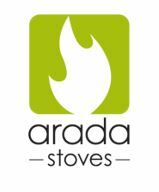 It's been 30 years since Arada started warming homes and hearts. But from day one, their stoves have had the authenticity you'd expect from a company rooted in rural Devon. Villager, Aarrow and Stratford have all stood the test of time and are now united under the Arada name. The rituals of feeding and caring for it become part of your day. The scent and sound of it become part of your home. The glow becomes your companion. This is why an Arada stove warms not only the bones, but the heart as well.